We live in Central Florida and let’s face it, the sun can be brutal. Beat the heat with our motorized and manual retractable shades. 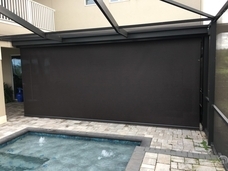 We can put shades on your covered lanai so you can enjoy being outside without the sun beating down on you. 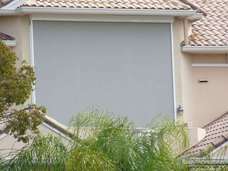 You can even put our motorized and manual retractable shades on your lanai, even if you’ve already got a screen enclosure! We can also put our shades directly in front of your windows to not only keep out the direct sun, but block the heat before it gets into your home or business. By keeping the sun out of your home or business, you can keep it cool and preserve your furniture and floors from the sun’s wrath. 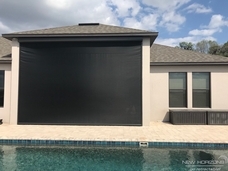 Additionally, some of our retractable shade products can also block wind and rain which can keep your outdoor patio furniture, summer kitchen and outdoor flooring dry in rainy conditions.